Say hello to Harriet the Horse. There is only one thing better than a cute horse and that’s a cute horse wearing glasses! 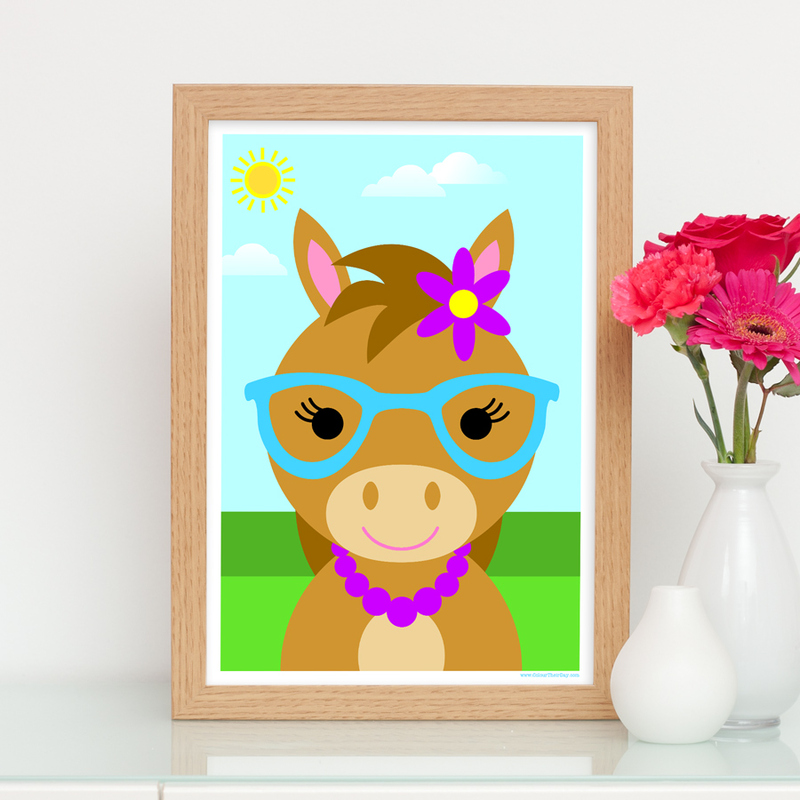 Little girls will love this girl horse art print and will enjoy receiving it as a birthday present to display in their bedroom or nursery. The design shows a cute girl horse wearing a large pair of blue glasses and a purple flower on her head. In the background there is a beautiful yellow sunshine, bright blue sky and vibrant green grass. The print is available in 7×5 inch unframed, 7×5 inch framed, A4 unframed, A4 framed and A3 unframed. It is from the ‘Party Animals’ range of kid’s stationery, where you will find many more cute animals, including horses, cats, sheep and a unicorn. Be the first to review “Girl Horse – Kids Animal Print – Harriet the Horse” Click here to cancel reply.